George Springer had four hits and scored three runs to help the Houston Astros beat the Arizona Diamondbacks 10-4 Saturday night and extend their lead in the American League West. 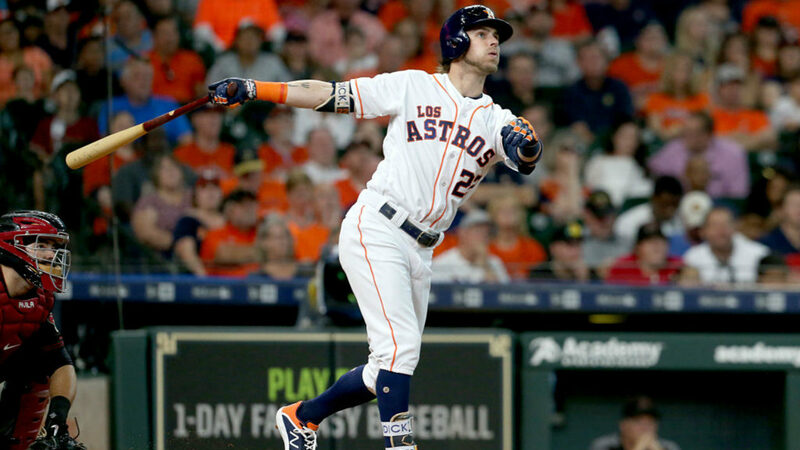 The Astros put together a three-run rally in the fourth inning with a string of singles from Springer, Jose Altuve, Marwin Gonzalez and Yuli Gurriel. Gonzalez' drove in two, and he advanced to third on Gurriel's dribbler into right field and came around to score when the ball went under the glove of right fielder Steven Souza.